Online Booking receive priority service. 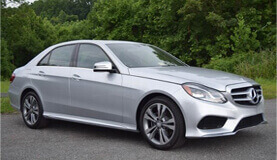 We provide quality airport transfers from and to Heathrow Airport London - LHR from a wide area in Surrey, Berkshire, Middlesex and London Please call us for a quote for any other destinations not listed. As well as airport transfers we offer a Private Hire Service - Executive Car Service for professionals and corporate transportation. All of our drivers are fully trained, licensed and insured so you will receive the best quality service. we accept all cards in car including Amex In car or Pre Pay, receipts will be emailed on request. Approved service supplier to Corporations - Proctor & Gamble, Salesforce, Crown Estate Windsor. UK Universities in London & Royal Holloway Surrey. Many 5* Hotels Windsor and London, Conferences and Private Estates. We specialise in airport transfers so we know how to make sure your journey stress free and as simple as possible. We monitor all flight or delays so we know take off and when you'll be landing - providing a car ready and waiting at terminal or pick up address. Each of our drivers is fully trained, Geo knowledge tested and police checked to make sure you'll receive the best standard of service. 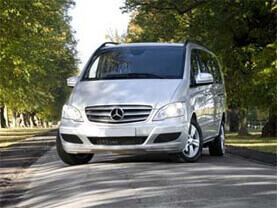 Located at Heathrow Airport London, available 7 days a week, 365 days a year.